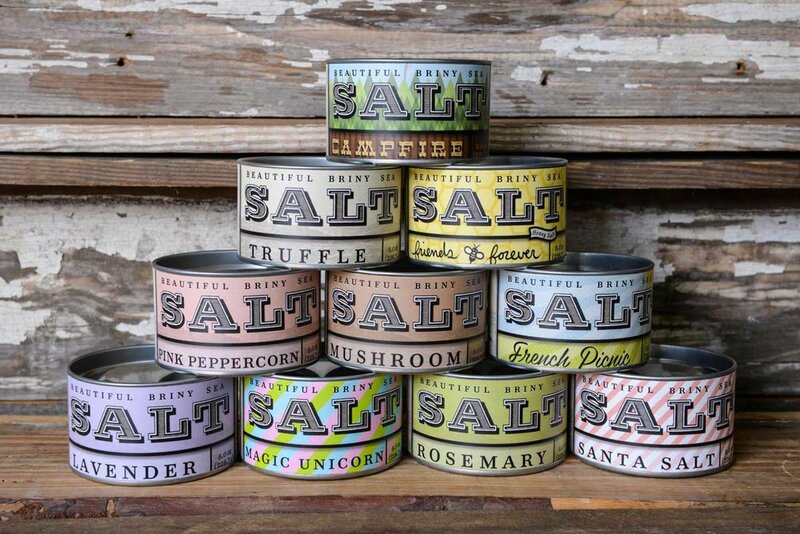 Beautiful Briny Sea is an artisan dry goods company based in Atlanta, Georgia. Our small-batch salt blends, sugars, and other culinary products are made with integrity, sustainability and a whole lot of love. Our humble beginnings date back to 2011, when restauranteur Suzi Sheffield decided to seek new adventures while continuing to pursue her culinary passion. Armed with a boatload of creativity, a love for all things homemade, and a flair for whimsy, Suzi brought Beautiful Briny Sea and its beloved small-batch sea salts to life in a studio in Atlanta's Old Fourth Ward. 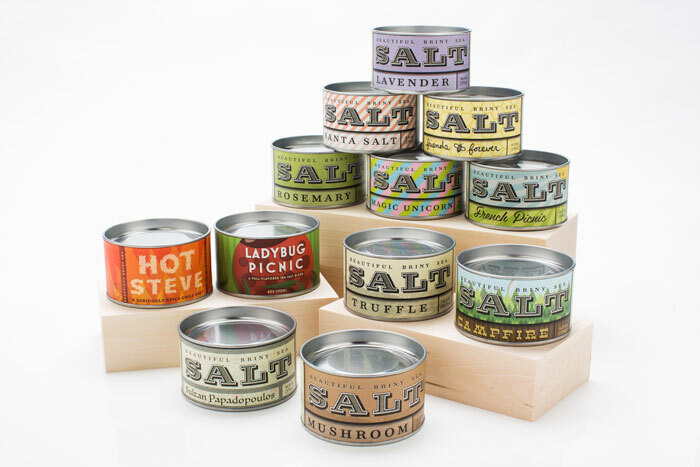 Since then, our product line has expanded to include twelve salt batches, as well as a handful of various other sundries and specialty goods. Suzi's always dreaming up new concoctions in the Salt Shack, so keep your ear to the ground for upcoming products, fun collaborations, and other new projects. Our small-batch salt blends, sugars, and other culinary products are made with integrity, sustainability and a whole lot of love. We also have gift sets!! All of our orders are shipped via USPS, UPS and Postmates. Once your item ships, we will send you a tracking number. Each Beautiful Briny Sea order is carefully packaged to ensure that it arrives safely. Beautiful Briny Sea is not responsible for any lost or stolen items once delivered. All orders are shipped from Atlanta, Georgia. Our standard hours of operation are Monday-Friday 9-5pm EST. Orders are processed from our Atlanta Salt Shack within 2-3 days once the order is received. Once shipped, orders may take 2-4 days to arrive depending on your location. Shipping estimates do not include our production processing time. DO YOU REPLACE DAMAGED SALT/SUGAR CANS? At Beautiful Briny Sea, we want you to be 100% happy with your order. If you receive a shipment that was damaged in transit, please reach out to ahoy (at) Beautifulbrinysea (dot) com. We will discuss your order with you and determine the best option for replacement. I ACCIDENTALLY SHIPPED MY ORDER TO THE INCORRECT ADDRESS. WILL YOU SHIP ANOTHER ORDER TO ME? Please review all shipping information before submitting your order. If an error has been made, please contact us immediately via ahoy (at) beautifulbrinysea (dot) com to see if we can adjust the order. Once we ship a package to the listed address, we cannot be held responsible for re-sending a duplicate order. Please resubmit another order with the correct address and we will send the replacement order as quickly as possible. CAN I TALK TO YOU ABOUT BECOMING A WHOLESALE CUSTOMER? Of course! Feel free to email us with a request or question (along with your reseller permit) to: orders (at) Beautifulbrinysea (dot) com. We will review your request and determine if we are a wholesale match! DO YOU OFFER GROUP SALES, CORPORATE GIFT RATES OR PRIVATE LABEL RUNS? We sure do! Every case is evaluated based on request, timetable needed and Minimum Order Quantities. If you would like to talk about a special project, feel free to contact: Charlie (at) Beautifulbrinysea (dot) com. CAN I REQUEST A SPECIFIC PRODUCT SAMPLE TO BE INCLUDED WITH MY ORDER? We are all about sharing the love of BBS with our amazing customers! Please include a note with your order if you would like to try a specific sample. 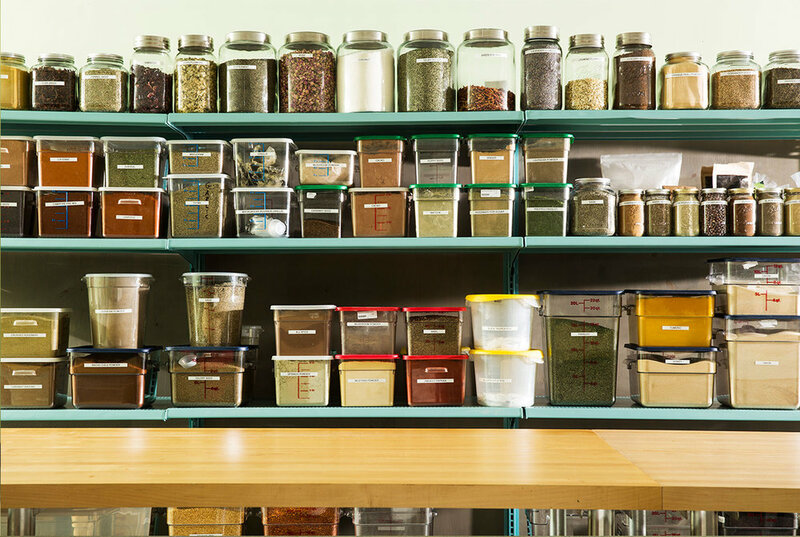 Please note, we at times stock out of certain samples and cannot guarantee that a sample flavor will be included. We will do our best though!